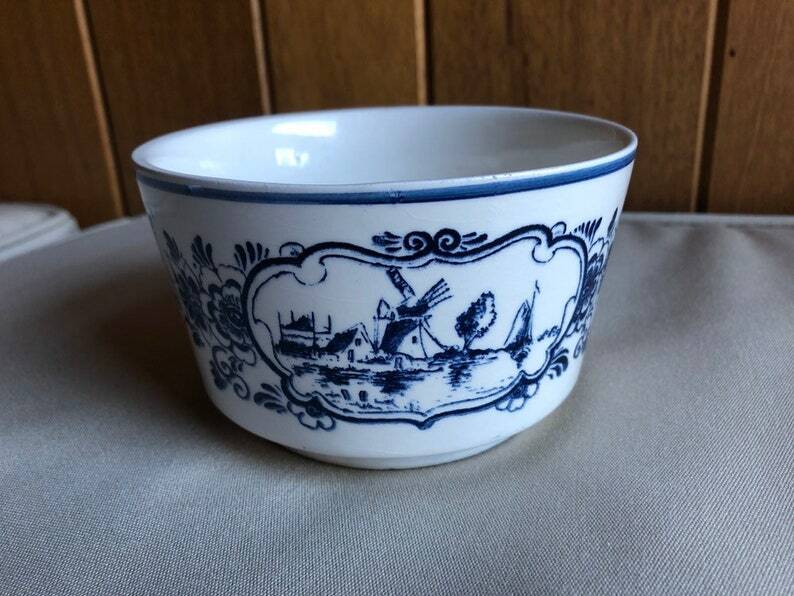 Vintage Delft Blauw bowl with windmill and sailboat motif. Hand painted. No chips or cracks but shows standard wear for it's age. Bowl measures about 3 inches tall and about 5 inches in diameter. Please convo with any questions or for additional photos. Please look closely at photos before purchasing! So cute! Love it! Shipped quickly. Happy with this purchase. Vintage Strawberry Crewel Wall Art | Mid Century Modern Needlepoint | Framed | Teal Avocado Green MCM 7x9"
Perfect transaction! Extra fast shipping! Love this small embroidery piece. Just as described and happy with seller.